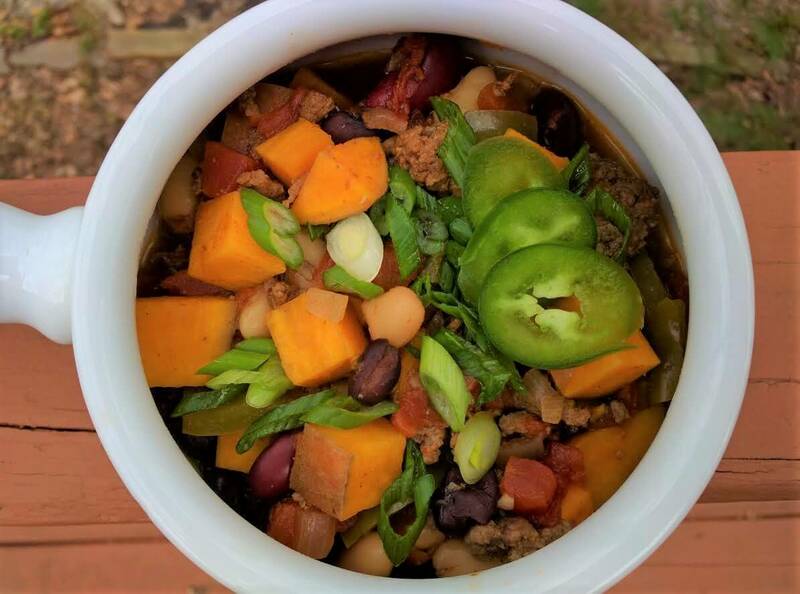 This heartwarming chili is made with a variety of beans and sweet potatoes before being simmered in spiced and diced tomatoes. This is a crowd-pleaser as it’s budget friendly, readily whipped up in a slow-cooker and can be easily made vegan-friendly by omitting the beef. Rinse all beans under cool water until water runs clear. In a large slow cooker, add in all ingredients and stir well. Set heat to low and cook chili for at least 4 hours. Serve chili hot with optional toppings. You can substitute 1 teaspoon of garlic powder for the 4 fresh garlic cloves. You can substitute 1 tablespoon of onion powder for the 1 medium onion.